On Saturday, June 3, 2017, Pope Francis spoke to the tens of thousands of faithful who gathered at the Circus Maximus in Rome, Italy. They were there to celebrate the Golden Jubilee of the Catholic Charismatic Renewal. Here is the text of his speech. Pope Francis at St. Peter’s Square, the Vatican. “Brothers and sisters, thank you for the witness you have given here today, thank you! It has helped us all, myself included … all of us! In the first chapter of the Acts of the Apostles we read: “And staying with them, [Jesus] charged them not to depart from Jerusalem, but to wait for the promise of the Father, about which, he said, ‘you heard from me, for John baptized with water, but before many days, you will be baptized with the Holy Spirit'” (1:4-5). Today we are here in a kind of Upper Room beneath the open sky, unafraid, under the open sky and with our hearts open to the promise of the Father. “All of us who believe” have gathered here, all of us who confess that “Jesus is Lord”. Many have come from different parts of the world, and the Holy Spirit has brought us together to build bonds of fraternal friendship that encourage us on our journey towards unity, unity for mission. Not to stand still! But for mission, to proclaim that Jesus is Lord – Jesús es el Señor. To proclaim together the love of the Father for all his children. To proclaim the Good News to all peoples. To demonstrate that peace is possible. It is not so easy to show this world today that peace is possible, but in the name of Jesus we can show by our testimony that peace is possible! It is possible if we are at peace with one another. If we emphasize our differences, we are at war among ourselves and we cannot proclaim peace. Peace is possible, based on our confession that Jesus is Lord and on our evangelization along this path. It is possible. Even by showing that we have differences – this is obvious, we have differences – but that we desire to be a reconciled diversity. We should not forget that phrase, but say it to everyone: reconciled diversity. The phrase is not mine. It comes from a Lutheran brother. Reconciled diversity. Now we are here and we are many! We have gathered to pray together, to ask the Holy Spirit to come upon each of us, so that we can go forth into the streets of the city and the world to proclaim the lordship of Jesus Christ. Pope Francis Addresses the CCR Golden Jubilee crowd. In the Book of Acts we read: “Parthians and Medes and Elamites and residents of Mesopotamia, Judea and Cappadocia, Pontus and Asia, Phrygia and Pamphylia, Egypt and the parts of Libya belonging to Cyrene, and visitors from Rome, both Jews and proselytes, Cretans and Arabians, we hear them telling in our own tongues the mighty works of God” (2:9-11). To speak the same language, to hear and to understand … Differences do exist, but the Spirit makes us understand the message of Jesus’ resurrection, each in his or her own language. We have assembled here from 120 countries throughout the world, to celebrate the sovereign work of the Holy Spirit in the Church that occurred fifty years ago and started… an institution? No. An organization? No. A flood of grace, the flood of grace of the Catholic Charismatic Renewal. A work that was born… Catholic? No. It was born ecumenical! It was born ecumenical because it is the Holy Spirit who creates unity, and the same Spirit who granted the inspiration for this. It is important to read the works of Cardinal Suenens on this: it is very important! The coming of the Holy Spirit changes fearful men, enclosed behind shut doors, into courageous witnesses of Jesus. Peter, who had denied Jesus three times, filled with the power of the Holy Spirit, proclaims: “Let all the house of Israel know assuredly that God has made him both Lord and Christ, this Jesus whom you crucified” (Acts 2:36). This is the profession of faith of every Christian! God has made both Lord and Christ that Jesus who was crucified. Are you all agreed on this profession of faith? It is ours, the same for all of us! The scripture goes on to say: “All who believed were together and had all things in common; and they sold their possessions and goods and distributed them to all, as any had need” (2:44-45). They sold them and they helped the poor. Some of them tried to be devious – we think of Ananias and Sapphira (there are always a few of them) – but all the believers, the great majority, helped one another. “Day by day, attending the temple together and breaking bread in their homes, they partook of food with glad and generous hearts, praising God and having favour with all the people. And the Lord added to their number day by day those who were being saved” (2:46-47). The community kept growing and the Spirit was there to inspire this. I like to think of Philip, and how the angel told him: “Take the road to Gaza and find that proselyte, the steward of Candace, Queen of Ethiopia. The man was a proselyte and he was reading Isaiah. Philip explained the scripture to him, proclaimed Jesus and the man converted. At a certain point, he said: “Here is some water: I want to be baptized”. It was the Spirit who led Philip to go there, and from the beginning it has been the Spirit who impels all the believers to proclaim the Lord. Today we have chosen to assemble here, in this place – as Pastor Traettino said – because here, during the persecutions, Christians were martyred for the entertainment of onlookers. Today there are more martyrs than then! Today there are more martyrs, Christians. Those who kill Christians do not ask them first: Are you Orthodox? Are you Catholic? Are you Evangelical? Are you Lutheran? Are you Calvinist? No. They ask if they are Christians, and when they say yes, they immediately slit their throats. Today there are more martyrs than in the early times. This is the ecumenism of blood. The witness of our martyrs today brings us together. In different parts of the world, Christian blood is being shed! Today Christian unity is more urgent than ever, Christians united by the power of the Holy Spirit, in prayer and in activity on behalf of the most vulnerable. To walk together, to work together, to love one another, and together to seek to explain our differences, to come to agreement, but as we keep walking! If we stop walking, we will never come to agreement. So it is, because the Spirit wants us to keep walking. 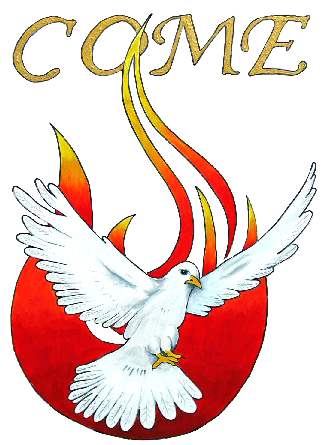 Fifty years of the Catholic Charismatic Renewal. A flood of grace of the Spirit! Why a flood of grace? Because it has no founder, no bylaws, no structure of governance. Clearly it has given rise to many expressions that, surely, are human works inspired by the Spirit, with various charisms, and all at the service of the Church. But before this flood of grace one cannot erect dikes, or put the Holy Spirit in a cage! Fifty years is a good time in life to stop and reflect. It is the time for reflection: the halfway point of life. And I would add this: it is the time to press forward with greater strength, leaving behind the accumulated dust of time, giving thanks for what we have received and looking ahead to new things, with trust in the working of the Holy Spirit! Pentecost gives birth to the Church. The Holy Spirit, the promise of the Father, of which Jesus spoke, is the One who makes the Church: the bride of the Book of Revelation, a single bride! Pastor Traettino said this: the Lord has one bride! This flood of grace is for the whole Church, not just for some, and none of us is the “master” and the others servants. No. We are all servants of this flood of grace. Along with this experience, you constantly remind the Church of the power of prayer of praise. Praise that is the prayer of gratitude and thanksgiving for God’s gracious love. Perhaps some people do not like this way of praying, but surely it is fully a part of the biblical tradition. Take the Psalms: David dances before the Ark of the Covenant, filled with exultation. … And please, let us not fall into the attitude of Christians who have the “Michol complex”, ashamed of the way David chose to praise God. Exultation, happiness, joy that is the fruit of the working of the Holy Spirit! Either a Christian experiences joy in his or her heart, or something is wrong. The joy of proclaiming the Good News of the Gospel! Jesus in the synagogue of Nazareth reads this passage of Isaiah: “The Spirit of the Lord is upon me, because he has anointed me to preach good news to the poor. He has sent me to proclaim release to captives and recovering of sight to the blind, to set at liberty those who are oppressed, to proclaim the acceptable year of the Lord” (Lk 4:18-19; cf. Is 61:1-2). Good News, joyful news: do not forget this. Joyful news: the Christian message is always joyful. The third Malines document, “Charismatic Renewal and Social Action”, written by Cardinal Suenens and Dom Helder Camara, states clearly that the charismatic renewal is also service to society, to humanity. Baptism in the Holy Spirit, praise, social action. The three things are inseparably linked. I can give deep thanks, but if I do not help those in need, it is not enough. “There was not a needy person among them”, says the Book of Acts (4:34). We will be judged, not on our praise but on what we have done for Jesus. “Lord, when did we do this to you? When you did it for one of these little ones, you did it to me. (cf. Mt 25:39-40). Dear brothers and sisters, my wish for you is that this will be a time of reflection, a time for remembering your origins. A time too, to leave behind everything motivated by self-concern. May it become a desire instead to listen to, and joyfully accept, the working of the Holy Spirit, who blows where and how he wills! I thank the Catholic Fraternity and ICCRS for organizing this Golden Jubilee, for this Vigil. And I thank each of the volunteers who make it possible, many of whom are present here. I wanted to greet the members of the office staff when I came, because I know how hard they have worked! And not for pay! They worked hard. Most of them are young people from different continents. May the Lord bless them all! I am particularly grateful that my request to you, two years ago, to give the worldwide Charismatic Renewal a single international service based here, has begun to take concrete shape in the acts of incorporation of this new single service. It is the first step, and others will follow, but soon the unity, the work of the Holy Spirit, will be a reality. “I make all things new”, says the Lord (Rev 21:5). 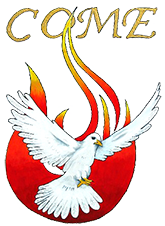 Thank you, Catholic Charismatic Renewal, for what you have given to the Church in these fifty years! The Church counts on you, on your fidelity to God’s word, on your readiness to serve, and on your testimony of lives transformed by the Holy Spirit!